The Victorian Planning Authority (VPA) is working in partnership with Hobsons Bay Council, Maribyrnong City Council and local and state agencies to prepare a Comprehensive Development Plan (CBP) for Brooklyn Business Park. This site has been identified as a key strategic site for renewal, and planning will focus primarily on creating new employment opportunities for the West. 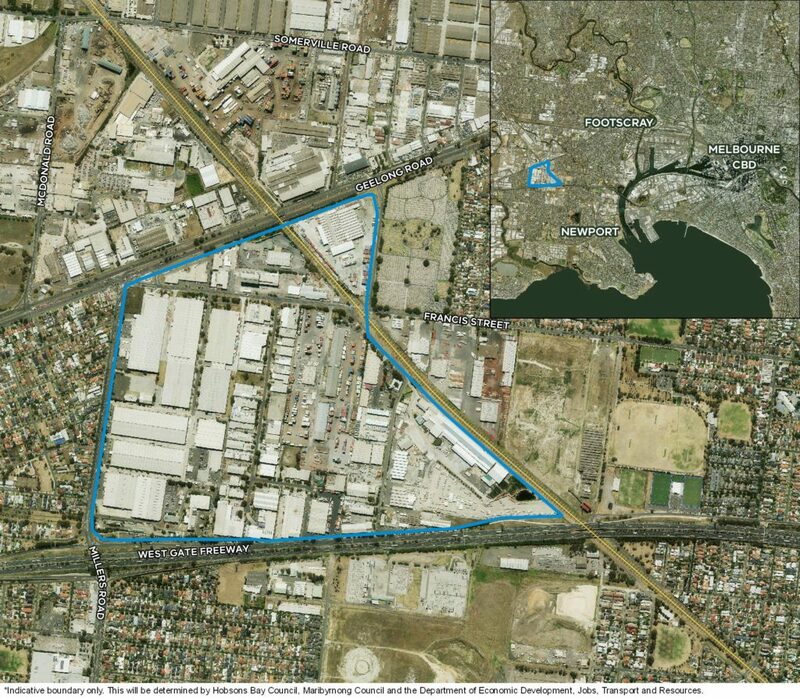 The Brooklyn Business Park is industrial land bound by Millers Road to the west, Princess Highway/Geelong Road, Cemetery Road and Francis Street to the north and the goods rail line to the east, with direct access onto the West Gate Freeway. Planning for the Brooklyn Business Park builds on the government’s investment in the West Gate Tunnel Project.